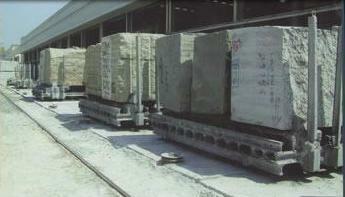 Yuxiang fabricates stone products with various marble and granite mainly include ball fountains, floating ball fountain, rolling ball fountain, sphere water fountain, stone ball fountain, granite ball, marble ball, stone ball, floating ring fountain, sphere ball fountain. Large outdoor floating sphere can enhance your landscape quality. Our Rolling sphere are suitable for any customers, landscape and building architects, designers, decorators, developers, outdoor fountains, indoor fountains, landscape design. 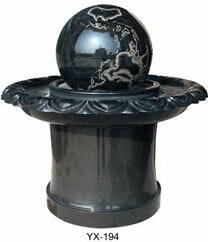 Ball fountain, which rolling on a thin cushion of water, rotates with a tiny water pressure of the water. And make it appear like it is floating. This stylish Chinese work of art can adorn your garden shop, office, or even your home. This heavy ball fountains is so perfectly symmetrical that it can revolve 360 degrees in any direction with the slightest touch. 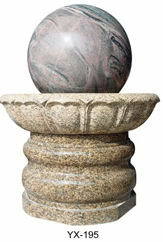 It is a perfectly balanced, highly polished stone sphere that fits precisely into its carved basin to conform to the exact curvature of the ball. This heavy, polished ball spins on a frictionless cushion of water and continues to roll until the water is shut off. However, even a child can stop the ball, change the direction of the spin or set the ball on an accelerated twirl. The space between the ball and the basin socket is about 1/4000th of an inch (about the thickness of a hair), so there is no danger of a child's fingers getting hurt. 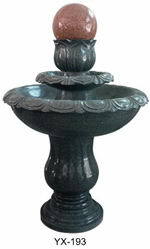 These fully functioning artistic fountains are a must for the person that has everything. It staggers the imagination to see this extremely heavy ball fountains revolve around on such a minute amount of water.